Penguins have got to be the the coolest critters waddling the earth. They definitely know how to capture the imagination of authors and mere mortals alike. A mere mortal, I love reading penguin books with my kindergarten kids. Here are six of my faves. 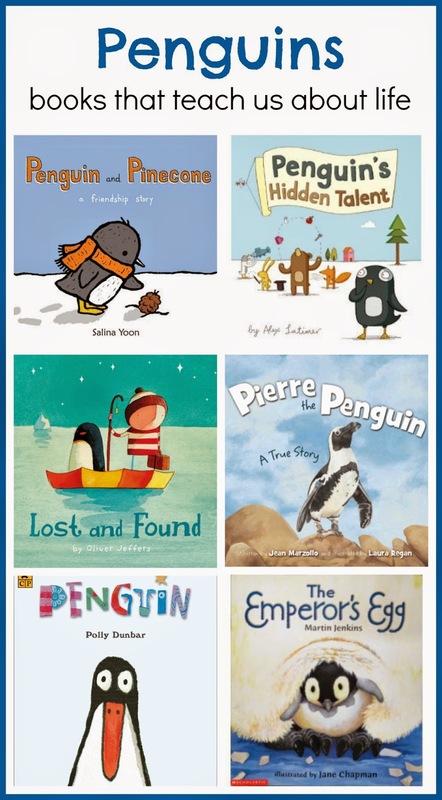 They are all penguin books, but most are not really "about" penguins. summary Ben unwraps a gift, but is disappointed when the gift - a penguin - refuses to speak. He dances, sings, sends the penguin into space, all to entice the penguin to speak, but silence. In frustration, he tries to feed the penguin to a passing lion. But the lion consumes Ben instead! 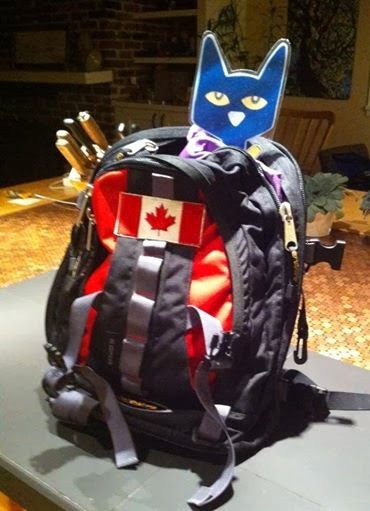 Penguin saves the day, and recounts his adventures to Ben in his own penguin way. Learn about Polly Dunbar at her [website]. summary A boy opens his door to find a penguin standing there. He determines to the the "right thing" and return the penguin where it came from. After dark nights, fierce storms and many stories, they arrive at the South Pole. But neither are happy. Don't worry, the lost friends find each other again. what the book is really about Friendship lost - and found. Oliver Jeffers' [website] can make short work of a couple of hours. Oliver Jeffers shows us [how to draw a penguin]. Small world play to retell the story from [One Perfect Day]. 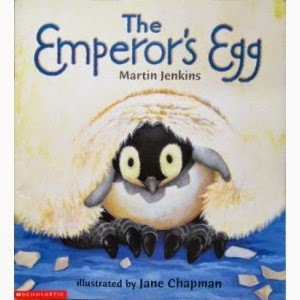 summary The male Emperor Penguin must be the world's most devoted dad. While mama penguin goes off for a 40 day feast at sea, dad's job is to keep the egg safe and warm without benefit of food, shelter or the occasional football game. 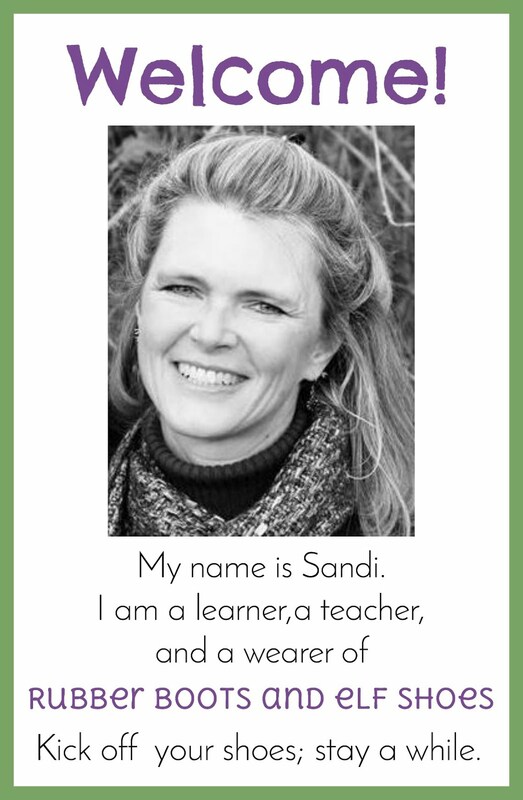 what the book is really about Caring for the next generation is a parent's prime directive. Book review and activities from [rubberboots and elf shoes]. summary Penguin wants to participate in the talent show, but does not appear to be "talented". Since he cannot go on the stage, he makes posters, sends emails, makes phone calls and polishes the trophy. He leaves the talent show dejected, not joining the celebrations, because, after all, he did not get a medal. But his friends want to throw him a party to say thanks for all his organizing work. But their talent was not organizing parties - and Penguin found where his talent was hiding. what the book is really about We all have talents - even if they are hidden and we have not found them yet. 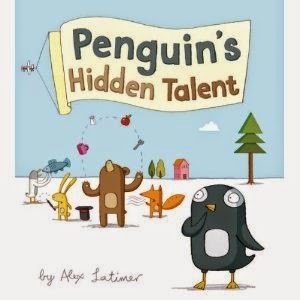 A football player [reads] Penguin's Hidden Talent. summary Pierre, a penguin at the California Academy of Sciences began to lose his feathers. As a result, he would not swim since he could not stay warm in the water, and the other penguins began to shun him. A rain shower inspired a biologist working with Pierre to make him a penguin sized wet suit. 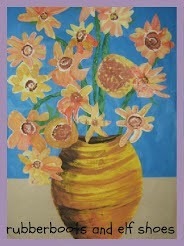 what the book is really about Caring and creativity can make a huge difference in life. 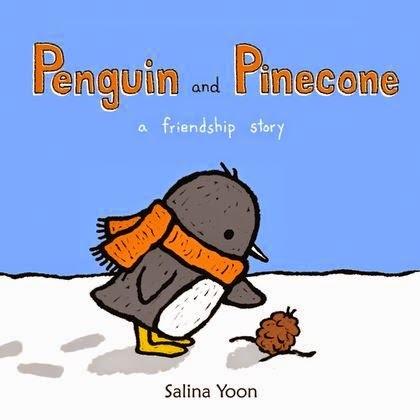 summary Penguin finds a lost pinecone and they become friends. But Pinecone is always cold, and Penguin learns that his new friend cannot grow unless he returns it to a forest in a warmer climate. Penguin takes Pinecone to a forest far far away, and sadly says good bye. For now. what the book is really about Love grows. Penguin has his own [blog]. 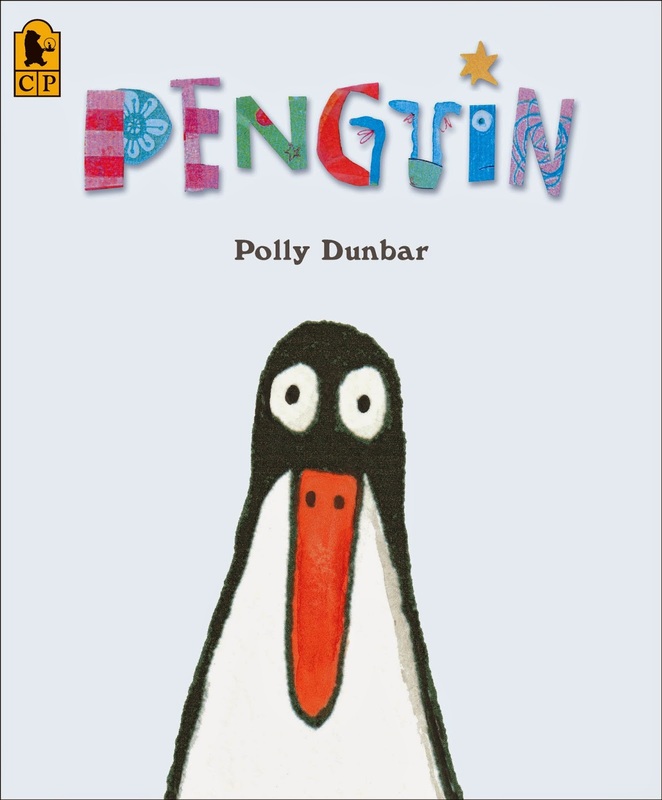 Salina Yoon has Penguin colouring pages and a teacher guide on her [website]. P is for Penguins and Pinecones from [Teach Preschool]. 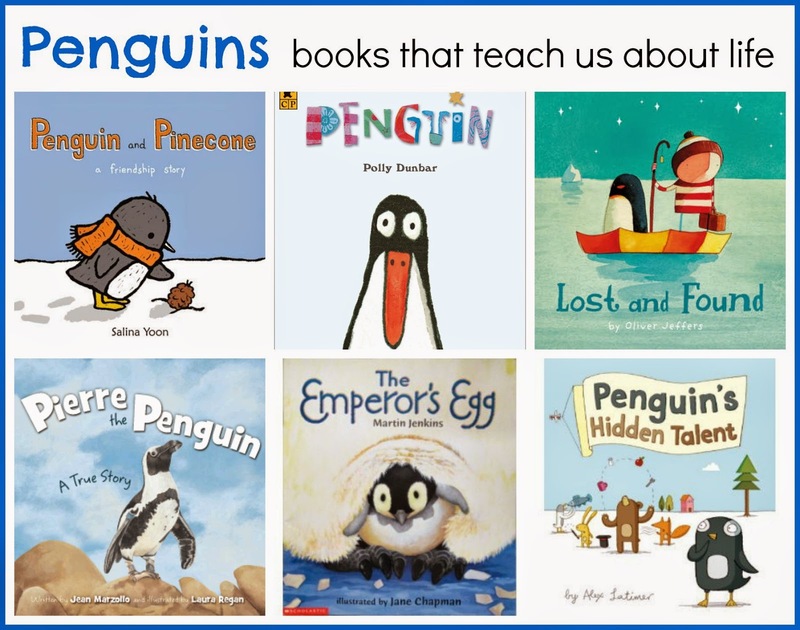 What are your favourite penguin books? Haven't heard of most of these-will look for them at the library! 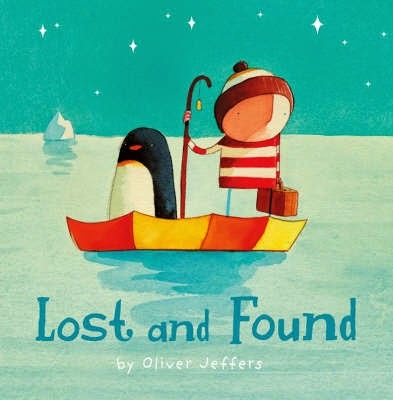 Love Oliver Jeffers so I can't wait to try that one out. Thank you for sharing!